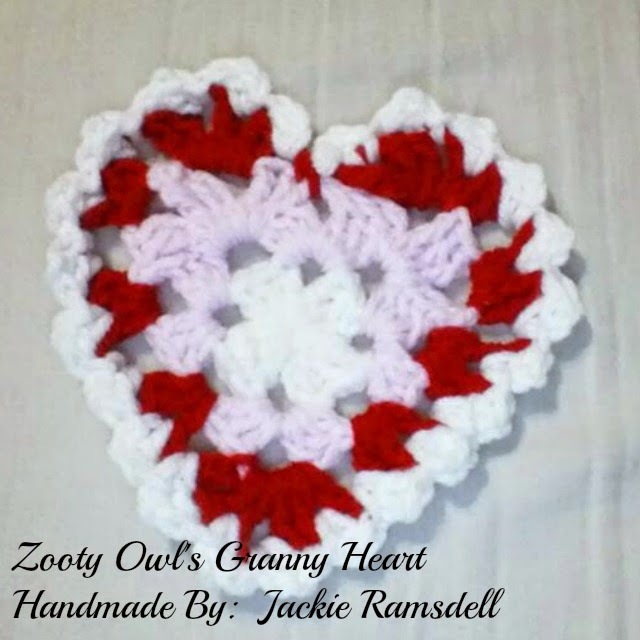 What lovely Granny Hearts just in time for Valentines Day! Thank you for the pattern! My nephew (7 years old) sais: It's a heart with a lucky clover in the middle! Awww that is so cute! I love how children notice things in such an amazingly creative way! These crotchet hearts are gorgeous - I must make some. Thank you so much for sharing. Hola Zelna! Son tan bonitos!!!!! Gracias por compartir!!! Lovely hearts! Fingers crossed I can finish some of these soon! :-) I bet they would look lovely as a garland as well, don't you think? Absolutely Anne! Send me a pic if you do make one!! Love the, especially the border. Perfect for a homemade Valentine's Day card. Beautiful hearts. Thank you for the pattern. Have a lovely week. Lovely hearts. Thanks for the pattern. Wonderful hearts, I like the idea of making them in thin cotton and used on cards etc. Thanks for sharing. Love the hearts! Thank you for sharing your patterns!